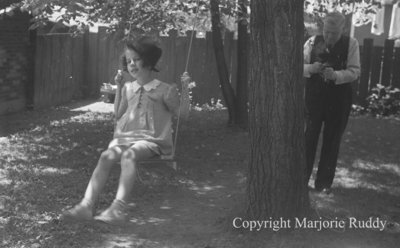 A black and white negative of Marion Rowe swinging on a swing that is hanging from a large tree. There is an unidentified man standing beside the tree. Marion Rowe, June 1939, Marjorie Ruddy. Whitby Archives A2013_040_929C.